Environment friendly solutions and alternatives to your plumbing requirements. Our camera will find out what's going on. Residential & Commercial maintenance and servicing of your drainages. Drainage is the removal of surplus water or liquid waste. There are two types of drainage systems, separate and combined. A separate system collects waste water and storm water separately and disposes them through different channels. A combined system collects both types of waste, storm water and liquid waste, and disposes of them through the same piping network. Drains should be kept clean and clear for them to work effectively. We have specialist equipment with the ability to clean out stubborn blockages if one occurs. We can also provide regular maintenance checks with leak detection equipment for precise maintenance and repairs, while also checking drains to prevent blockages from occurring. Laser Plumbing can help with all your drainage needs from sewer to storm water. 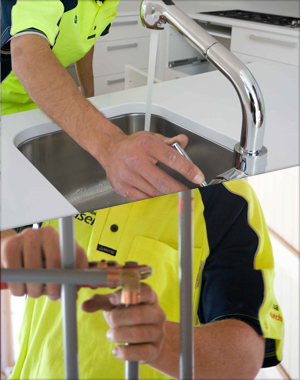 Contact Laser Plumbing Christchurch East for a 'Totally Dependable' service. Laser Plumbing Christchurch East provides 'Totally Dependable' drainage services for new home projects and new home installations across all of Christchurch's suburbs and surrounding areas. 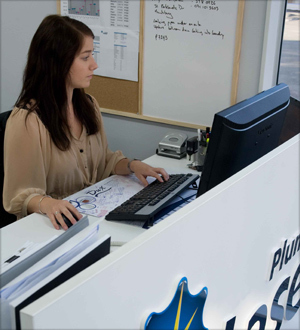 Our highly qualified plumbers can help ensure that your home has efficient and effective drainage systems in place. When building a new home, you need to lay new drain pipes to remove both storm water and sewerage. 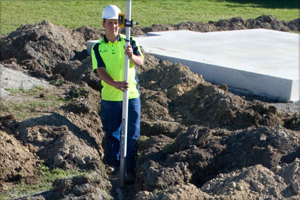 Laser Plumbing Christchurch East can assist with all of your drain laying needs, from the initial planning and design through to the physical excavation and laying of pipes. Home renovations, alterations or extensions are likely to require some modification to the way in which the drains of your existing home are laid out. The design of your new drainage system, installation and replacement can all be done by our professional team members. Laser Plumbing Christchurch East provides 'Totally Dependable' maintenance and servicing of domestic drainage systems for clients across all of Christchurch's suburbs and surrounding areas. We can offer regular maintenance checks with leak detection equipment for precise maintenance and repairs, while also checking drains to prevent blockages from occurring. Maintaining your existing drainage will prevent blocked drains which can cause a lot of damage to your home. 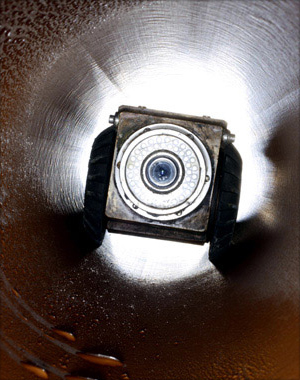 Drain inspections and maintenance can help to avoid costly repair jobs. Regular drain checks and cleaning can be performed by a qualified plumber from Laser Plumbing Christchurch East. If existing drains do become blocked, leak or even burst, you can rely on Laser Plumbing Christchurch East to inspect the problem, advise on a course of action and make the repair. Laser Plumbing Christchurch East is committed to a cleaner, brighter future and has dedicated itself towards helping others do the same. We provide environment friendly, green solutions and alternatives to your drainage systems, serving clients across all of Christchurch's suburbs and surrounding areas. Whether you are building a new home, or simply looking to make some changes to your existing home we can assist you with your drainage system. Laser Plumbing Christchurch East can provide green solutions and alternatives that help you save money, save water, reduce your water bill and play your part in helping the environment. If you would like to find out more about going green, please contact Laser Plumbing Christchurch East. 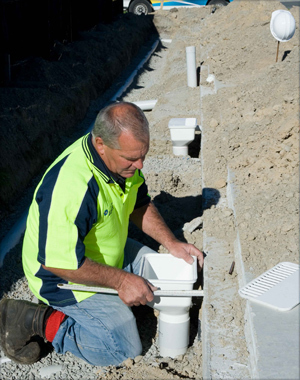 Laser Plumbing Christchurch East provides 'Totally Dependable' maintenance and servicing of commercial drainage systems for clients across all of Christchurch's suburbs and surrounding areas. We can offer regular maintenance checks with leak detection equipment for precise maintenance and repairs, while also checking drains to prevent blockages from occurring. Maintaining your existing drainage will prevent blocked drains which can cause a lot of damage. We provide drain inspections and maintenance to help you avoid costly repair jobs. Regular drain checks and cleaning can be performed by a qualified plumber from Laser Plumbing Christchurch East. If existing drains do become blocked, leak or even burst, you can rely on Laser Plumbing to inspect the problem, advise on a course of action and make the repair. Laser Plumbing Christchurch East provides service plans for clients across all of Christchurch's suburbs and surrounding areas. Our highly experienced drain layers will ensure that your premises are always maintained, compliant and operating at maximum efficiency and safety. We have a commitment to a high standard of health and safety and believe all accidents are preventable. 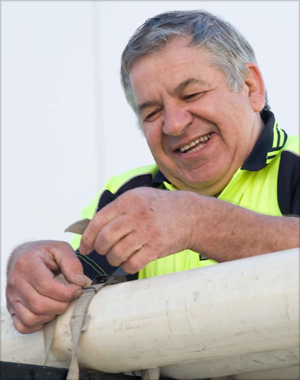 We ensure all our plumbers and drain layers are up to date with current health & safety practices and do our best to ensure that all sites are safe before proceeding with any plumbing work.